Avoid Foreclosure and Save Your Credit! Stop foreclosure regardless of your situation. Sire Properties can assist you in several different ways to help avoid foreclosure and save your credit. No matter what your credit history may be or how many late payments and penalties you have, the friendly and knowledgeable agents at Sire Properties can help. Almost any foreclosure situation can be successfully resolved with the right help. Sire Properties has helped many homeowners, people just like you. Our track record and success speaks for itself. Do not trust your home with just anybody. Bankruptcy – Attorneys may advise you to file Bankruptcy to stop a foreclosure. This may only delay the inevitable while costing you hundreds, if not thousands of dollars. Chapter 13 bankruptcy allows you to begin making payments on your home again. The problem is that if you miss one payment or send in one payment late, your lender may immediately begin the foreclosure process again. If your attorney advises you to file Chapter 7 this will only stall the sale of your home for 30 days and completely ruin your credit rating. Neither of these options are very helpful for this situation. What about listing with a Realtor? Most Realtors list houses, they don’t actively try to sell your house. If you need to sell your house fast this is rarely the answer! There will be one sign in your yard, a few other realtors may bring some people by your house that aren’t qualified & even if they are, what are the chances of the sale being closed before your home goes to foreclosure? Slim To None! 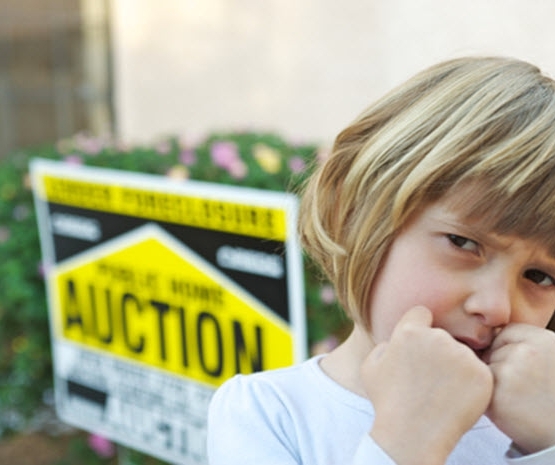 They will not know how to negotiate with the bank and it may wind up costing you your home. How about Refinancing? Many mortgage brokers will offer to refinance your home to stop the foreclosure. This only increases what you owe on the home & you will have higher payments since your new loan will be at a much higher interest rate! Wait a minute, weren’t you already having trouble making the payment? Hardly a solution. We believe the road to resolving foreclosure is a three step process. First, we inform you of all the options available and answer any questions regarding the foreclosure process you may have. Second, a consultation on your individual situation begins. Finally, when your situation and options have been examined, appropriate actions should be taken immediately to stop the foreclosure. Representing you as a third party in dealing with your bank. We have established relationships with many financial institutions. Negotiating back property taxes and property liens. Other options include lease option and take over payments program. There is always a solution to foreclosure and we can explain your best options! 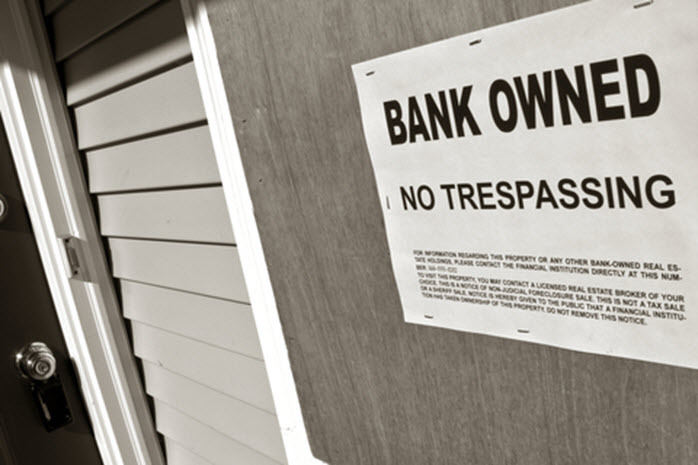 Most of the law on the subject of foreclosures in Florida is found scattered in dozens of cases. I wanted to emphasize to whoever may be considering doing business with Jim Willig, that they are making the right decision. Mr. Willig is a rare person of true integrity. His professionalism is only surpassed by his desire to help those who need it. Mr. Willig is compassionate and can provide a well-needed service to the community. 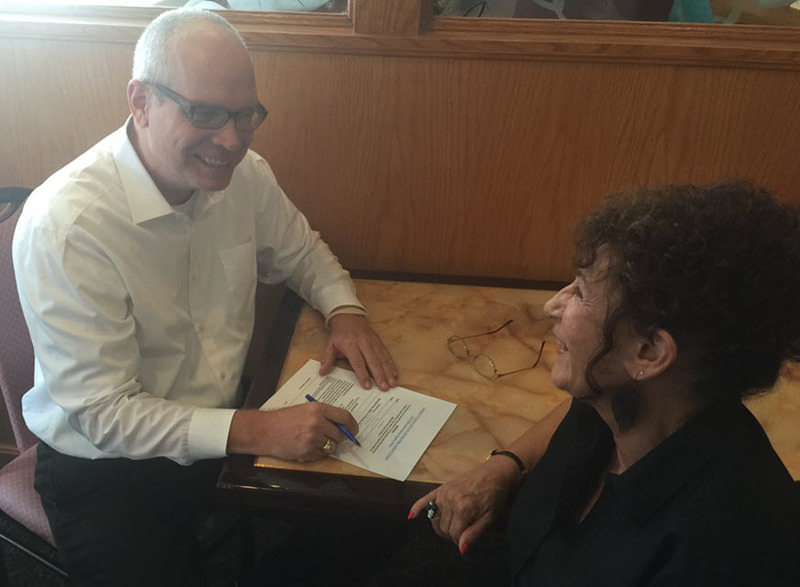 We were able to avoid bankruptcy and foreclosure by Mr. Willig's aid and professional knowledge. Our thanks to Mr. Willig! Recently, I sold my house to Sire Properties. I would just like to compliment on the fashion in which the house was sold.The house was sold in a speedy process, which helped stop a foreclosure process that would be on my credit report. Not only was the house sold fast, Sire Properties worked with me while selling my house. They were very kind and respectful, and were as concerned of my situation as I was. If I were to recommend to anyone who needs to sell their house promptly and with service that is hassle-free, I would definitely recommend Sire Properties. I just thought I would take a minute to let you know how fast Jim was able to help me get out of my situation. It was in December just before Christmas; I had been struggling with my house payment for months. It was like a miracle, I contacted Jim, within three days of my phone call to him, he let me know he would buy my house. Boy, what a relief that was, because I was facing a bank foreclosure. And if any of my friends ever happen to get in the same mess, as I was in, I would highly recommend Jim to help them out. James is a Residential Foreclosure Specialist with over 13 years experience of helping local residents deal with their foreclosure problems. He achieved success due to his quiet tenacity when dealing with the lenders and his unyielding commitment to the people he is helping. From start to finish, how long does the process of foreclosure usually take? This can certainly vary from lender to lender. However, from the date of your first missed payment to the date of the foreclosure auction, it is possible that as much as four months could elapse. It depends on many variables but the two biggest factors are your local enforcement and your mortgage holder’s desire for moving quickly. Is it possible that I can be evicted from my home during this process? It would be a most unusual circumstance that would cause this to be possible. Sometimes people are encouraged to “drop off the keys in the mailbox or at an office somewhere.” That should probably be the last thing you would ever do. Only when a foreclosure sale has happened and there is a new owner do you normally no longer have the right to occupy the house. Why is my lender being so uncooperative and not trying to work with me? If you have fallen into foreclosure, your lender is generally not highly motivated to be flexible in working with you. The larger lenders have millions of loans on the books. Most people find that trying to work out arrangements with lenders themselves often only results in frustration. Endless attempts to contact their lender by phone and endless paperwork only seem to get them nowhere. Sire Properties is experienced in dealing with the lenders and loss mitigation firms that serve your market. By working with Sire Properties, you have the experience of a professional who successfully deals with foreclosure situations all the time – working on your side. When should I be really concerned that I might lose my home? Well, it’s likely that you are here because you’re already concerned. Since you are visiting this website, you probably have a reason to be worried. Sometimes people don’t take this process seriously until they actually receive a notice of Lis Pendens. At this point you should be extremely concerned and would be well-advised to already have Sire Properties helping you deal with your problems. 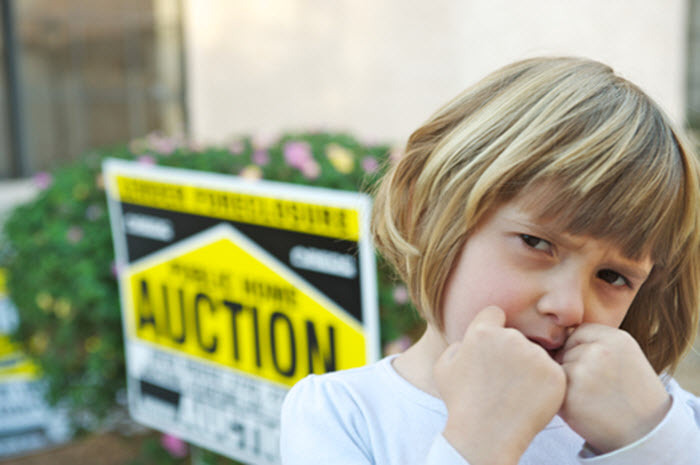 If the foreclosure process has begun, can it be stopped? Absolutely. If you start exploring your options when you are only late with your first payment, there are quite a few different options. However, as the time between your initial late payment and the time you get started addressing your problems drags on; your options begin to get more and more limited. The time to act is now – not later. At what point in the foreclosure process will I have absolutely no options left? Actually, you always have some options. Realistically, even after a foreclosure and eviction, you could still buy your house back. Realistically, if you haven’t been able to make a deal to save your house before eviction, the chances are very good that you will be unlikely to structure a deal to buy the house back. This is largely based on the assumption that you hired a capable attorney and had the ability to strike a deal. If so, you would have done so long before a sheriff removed you from the house. What steps are taken during the foreclosure process? You miss one or more payments on your mortgage. 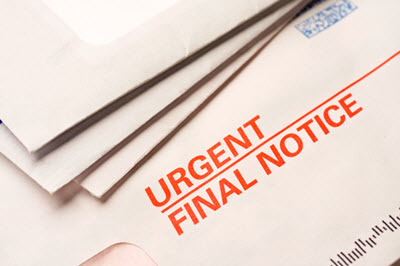 The lender will send you a late notice and try to contact you by mail or phone to try and resolve the problem. If no arrangements can be agreed upon and the homeowner continues to miss payments, then the lender will make a written demand for payment of the full amount owed on the property. This demand is based on the acceleration clause usually found in a mortgage agreement. The lender then sends a notice of intent to foreclose. After sending notice, the lender files a legal action with the court. The legal notice is then published in the local newspaper. Court issues order allowing lender to foreclose. Legal notice of the sale is also published in the paper. Finally, the property is sold at auction to the highest bidder. Be aware that these steps can sometimes happen fast and this process can be a very short one. Don’t hesitate – now is the time to get in front of the process by working with Sire Properties before you run completely out of options. I have received letters, flyers and other solicitations from people I don't know who claim that they can help me deal with my financial problems. How did they find out that I was having problems and get my address? A Foreclosure is a legal matter and your name and address is part of the public record. Information regarding foreclosures is collected and sold by companies who do nothing but this and have clients that are seeking to work with you to resolve your situation. Can any of these people who are contacting me actually help? Bankruptcy Attorneys: While it’s true that a bankruptcy does not look as bad on your credit as a foreclosure does, this option should only be considered as a last resort. There are probably several other options to consider first. Mortgage Brokers: A Broker may indeed be able to help you refinance your home and pay off your current mortgage. While this is actually an acceptable option, be aware that the interest rate for the new loan will likely be quite high. This is because in your current circumstance, you are considered a high risk loan candidate. Con Artists: Be VERY careful of the deal that sounds too good to be true. Without realizing it you could be talked into giving a con artist money and then watch as they disappear. In some cases they may even be able to take the title to your home and force you to rent to them. If you lose the ownership of your home like this, not even bankruptcy can help you and you’ll be left powerless. Sire Properties: Simply put, we are the “Good Guys”. We are specialists in really helping you consider your alternatives. We know the languages that mortgage companies speak and can help you make the best decision possible…. and yes, if selling your house is the best option, we can certainly help you do that as well. What is really my best available option? There is no one answer to that question. It depends on many different variables and all of them must be carefully considered when formulating a plan of action. A careful review of all your assets, liabilities, income and expenses is a basic requirement as is a thorough understanding of exactly why you are facing foreclosure and how far along in the foreclosure process timeline your situation has advanced. All of these factors play a significant role in determining your best option or options – indeed there can be more than one best option. Sire Properties is experienced in dealing with these situations and can help you make the right decision. The time to start working on this problem is NOW, not later when your options are severely limited. What is the difference between a foreclosure sale and a sheriff’s sale? A foreclosure sale is held by a mortgage holder. A sheriff’s sale is held by a lien holder or other attached creditor. If I cannot stop the foreclosure sale process and my house does go to a foreclosure sale, what will happen at that sale? All the legal notices and the property description are read aloud by the Auctioneer. Bidders are then required to offer their deposits before bidding begins. The auction is then held until a final bid has been received. All non-winner’s deposits are then returned. A deed of purchase and any other appropriate paperwork are then completed by the purchaser and the mortgage holder. The purchaser then is extended a short period of time (until 4pm the same day) to satisfy to purchase. At the closing arranged by the new owner formal title to the property then passes to the new owner. How are the proceeds from a foreclosure sale distributed? Almost always, any outstanding real estate taxes are paid first. Next, proceeds will be used to pay off mortgages in their order of precedence (first mortgage, second mortgage, etc.). Then, any other lien holders and other secured creditors who have valid claims against the property are paid. Last, if there’s any money left from the above, it is paid to the former owner.